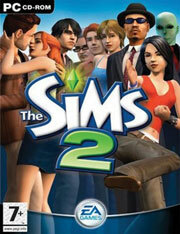 Adam Fenton: Electronic Arts (EA) is the leading third-party video game publisher in the world. It contracted us to drive national awareness for [its] The Sims franchise, which was about to mark its 100 millionth sale. What made the New York Daily News such a good hit? How did you pitch the editors there? Fenton: Not only does the Daily News have a huge circulation in the New York area, but many of its stories also tend to be read and followed by local and national media outlets. We leveraged the fact that a huge number of Sims fans are female to pitch the 100 millionth-milestone to the editors of the Daily News' women-centric “Thersday” section. The editors loved the idea, but the funny thing was that the story actually became the cover of the Wednesday entertainment section, which was even better. What interviews were needed for this story? What art or other support material did you provide to help clinch this placement? Fenton: We were able to get New York-area women who are Sims fans to talk about what the game meant to them, which gave the story a great local hook. We also set up interviews with EA executives and provided both images from the game and a timeline on the franchise's evolution over the years. Fenton: The Daily News ran a three-page, art-filled spread, which helped trigger follow-up stories on local television in New York and other markets. Though we were only hired for the 100 millionth [sale] campaign, EA was so pleased with our work [it] hired us to continue as the PR agency for The Sims on an ongoing basis.